There has been recently a number of changes in regards to how we insulate our homes; items such as increasing thickness of insulation and deeper insulation boards has meant there is a need for longer fixings. 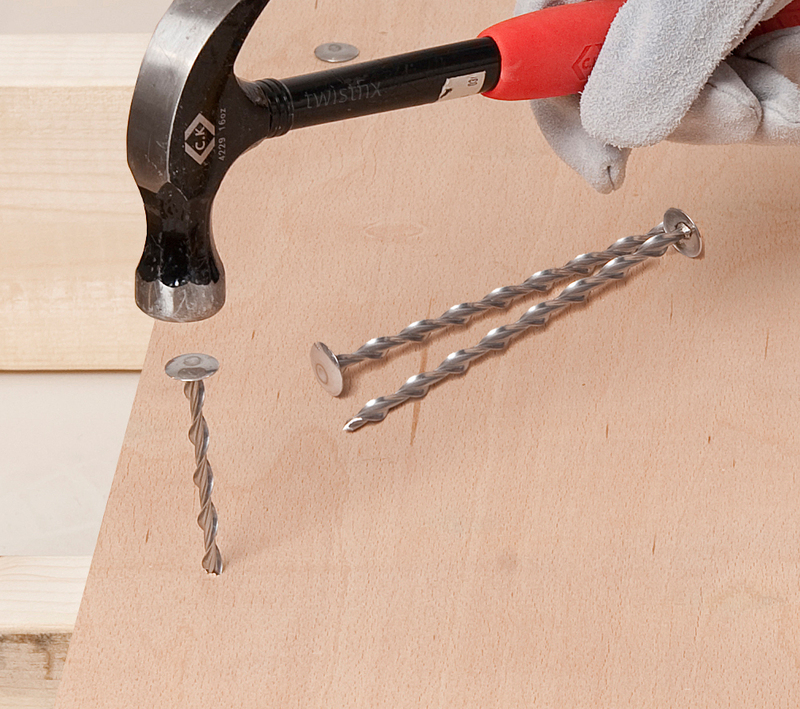 Accordingly the popular stainless warm roof insulation fixings for fastening plywood insulation boards to flat deck rafters are now supplied in longer lengths. The warm roof deck insulation fixings are now available in 245mm length suitable for insulation boards 190-210mm in depth. These in simple terms are superior flat roof nails that at 600 x 400mm centres requires only 6.9 fixings /m2 /board, allowing cost savings on both labour and materials. Insofast18 warm roof fixings have an 18mm button head and the Thor helical shank that corkscrews into the roofing timbers. The stainless steel Insofast fixing offers an 80% reduction in cold bridging when compared to zinc plated Suretwist fixings, due to a cross sectional area of just 9mm2 and due to stainless steel being almost 4 times less conductive than carbon steel. Stainless steel warm flat roof fixings should always be used where there is potential for corrosion. Twistfix are the specialist suppliers of insulation fixings as well as a whole range of products ideal for the construction and refurbishment industry. For more information then please contact us on 0845 1236007 or email sales@twistfix.co.uk.